The Sand Springs Lady Sandites are headed to the State Championship final game for the first time since 1996, and they’re doing so with style. From battling their way up through the losers’ bracket to win a Regional Championship with three straight shut outs, to upsetting the defending State Champions, these Lady Sandites are proving their worth with every swing and every pitch. Friday at the ASA Hall of Fame Stadium, Sand Springs got payback on Moore, who beat them at their last state appearance, in a 5-3 edge-of-your-seat stunner. It was a slow starter as neither team managed a run in the first two innings. In fact, Sand Springs didn’t even manage a base-hit. Moore had stranded three runners over three innings before Sand Springs ever even got on base, and when the victors did get on base it was due to a bad pitch by Lady Lion pitcher Bailey McKittrick that struck Lady Sandite pitcher Kennedy “Goose” Salyers. Salyers was soon joined by Stella Millican who drew a walk. Up to the plate walked junior Sydney Pennington, Oklahoma State-commit and standout basketballer. With a 3-1 count, Pennington finally connected to clear the fence. The first Sandite hit of the night was a 3RBI homerun for the lead in the bottom of the third. Jessica Schuler, a senior Northeastern State-commit, followed suit with a home run of her own and when the Lionesses finally came in to bat, they were trailing 4-0. Brenique Wright and Kamrie Harrison batted singles, but Wright was forced out on third as Roxanne Sarrington struck for a single into left field. Both runners were stranded as Courtney Barnes sent a fly ball to Jessica Collins in center field. Collins saw far more action than usual with seven putouts, second only to Schuler at first base. 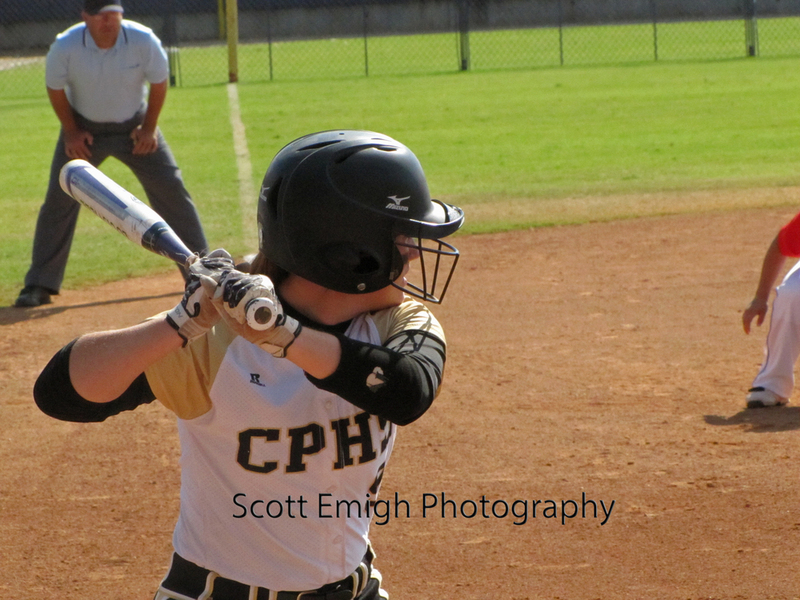 The Sandites failed to get off another hit, however, and this time the Lady Lions found their feet. Amanda Moreno struck a line drive into right field for a single, and KK Jackson sent one into left field for a single of her own. With Sierra Crick at bat, Sandite catcher Kali Mallory tried to catch Jackson off base, but the play backfired as Jackson was called safe and Moreno stole third during the confusion. 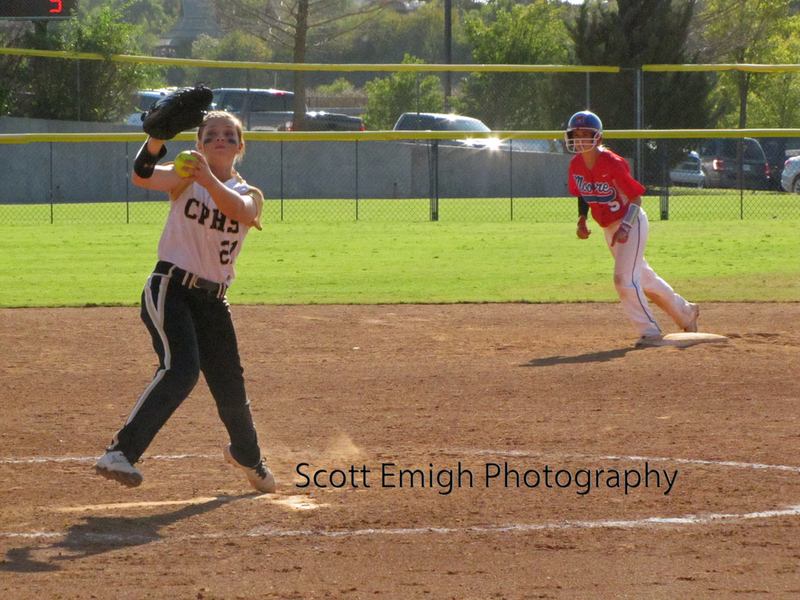 By the time Sand Springs got the ball to Cheatham at third, Moreno was safe and Jackson was just reaching second. To add injury to insult, Crick was walked and the bases were loaded, setting up Halle Melone for a 2RBI double to close the gap. Next up was Wright with a sacrifice fly to score Crick, and the inning ended soon after as Moore closed the gap to 4-3. Salyers allowed no hits in the sixth, and Schuler came to bat for yet another home run to add some extra cushion between the two teams. The cushioning proved to be icing on the cake as Moore was held run-less in the top of the seventh and the Sandites secured their first Championship appearance in 19 years. 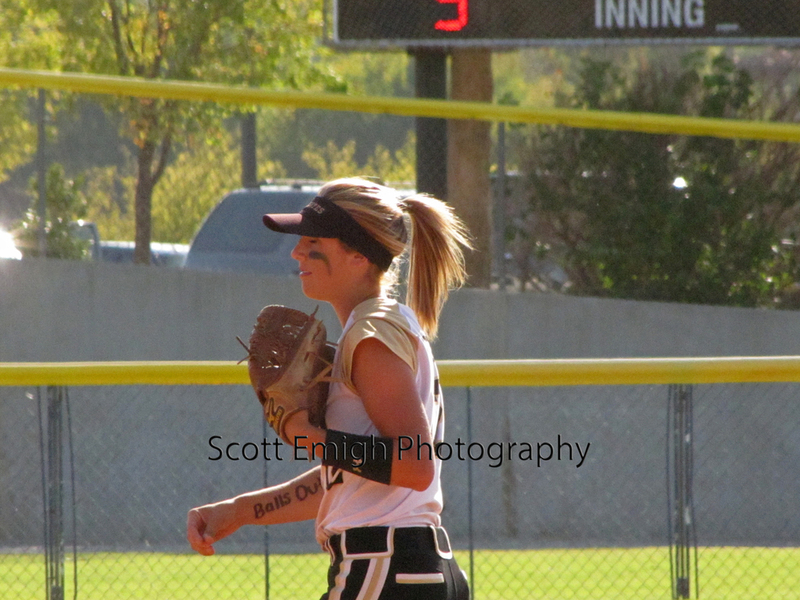 Sand Springs had only registered three hits against Moore, and it was all they would need. Salyers (17-1), a Southeastern Oklahoma State-commit, got the win on the mound, pitching 40% strikes for a 3.00 ERA and a 1.571 WHIP. McKittrick may have gotten the loss for Moore, but her record speaks for itself. 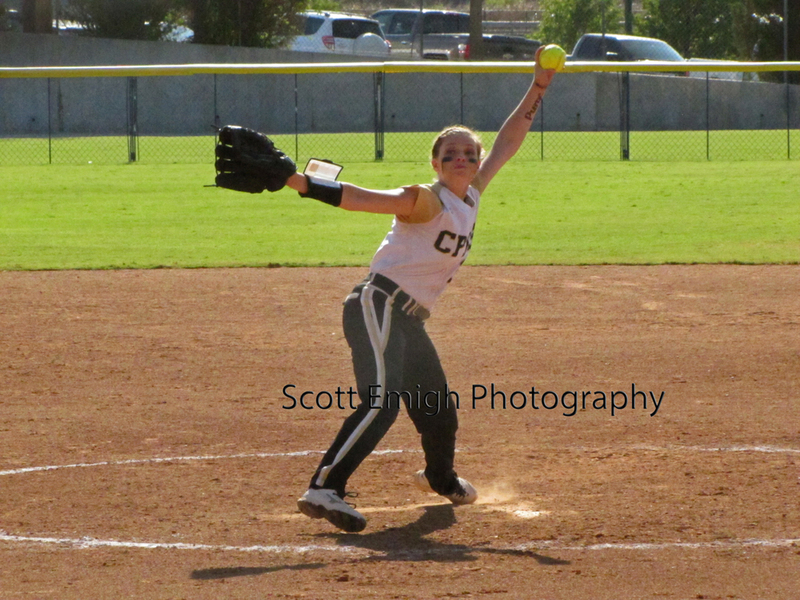 The Lioness pitcher threw 45.7% strikes and allowed only three hits for a 1.00 WHIP. Schuler topped both teams with a perfect batting average, perfect OBP, and a perfect 4.00 slugging average on two at bats. Saturday, the Sandites (31-8) will take on Choctaw (35-7) for the state title. The Lady Yellowjackets defeated Yukon 5-1 and Southmoore 6-1 in the first two rounds of the tournament. The two teams have yet to meet this season, but they do have several mutual opponents. Choctaw beat Union, Broken Arrow, Putnam City North, and Yukon, all of whom dealt losses to Sand Springs, while the Sandites beat Moore who defeated the Yellowjackets twice. Sand Springs went 7-4 against mutual opponents and won by an average of 5.36-3.18. Choctaw went 6-2 and won by an average of 4.5-2.25. The Ladies have put forward extraordinary perseverance and hard work thus far, and no matter what happens tomorrow, the ballers have something to be proud of. Game stats, click to enlarge.